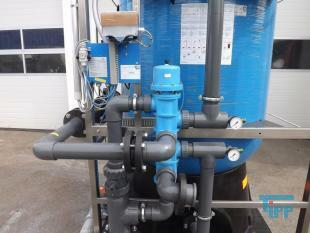 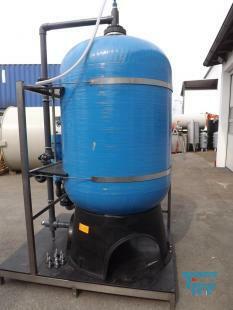 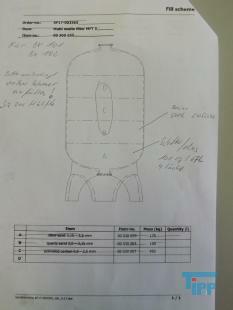 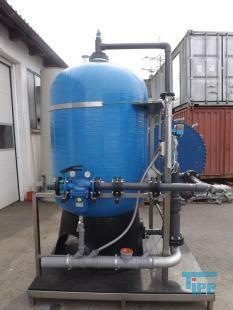 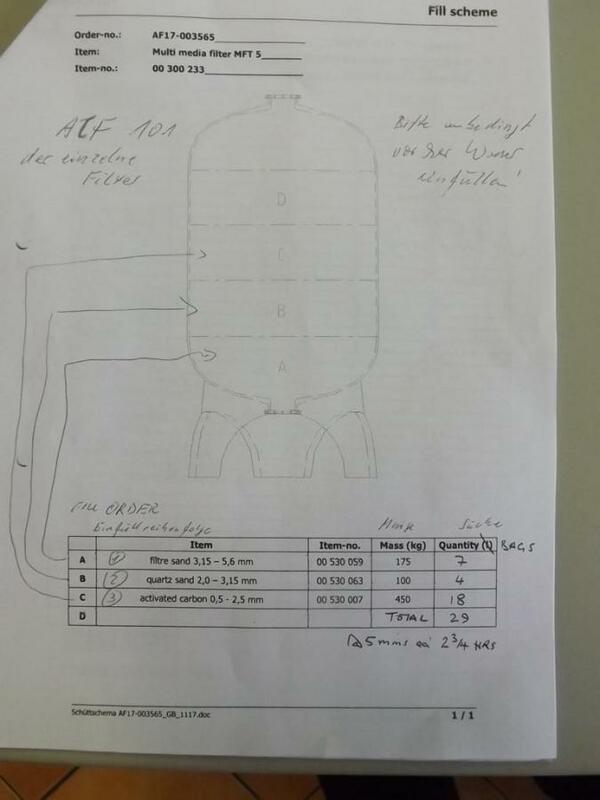 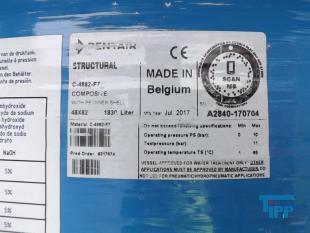 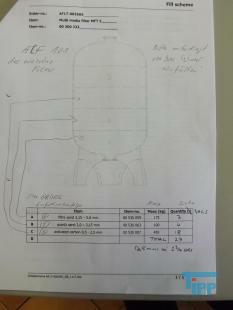 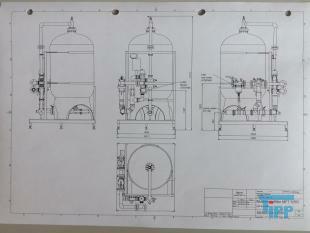 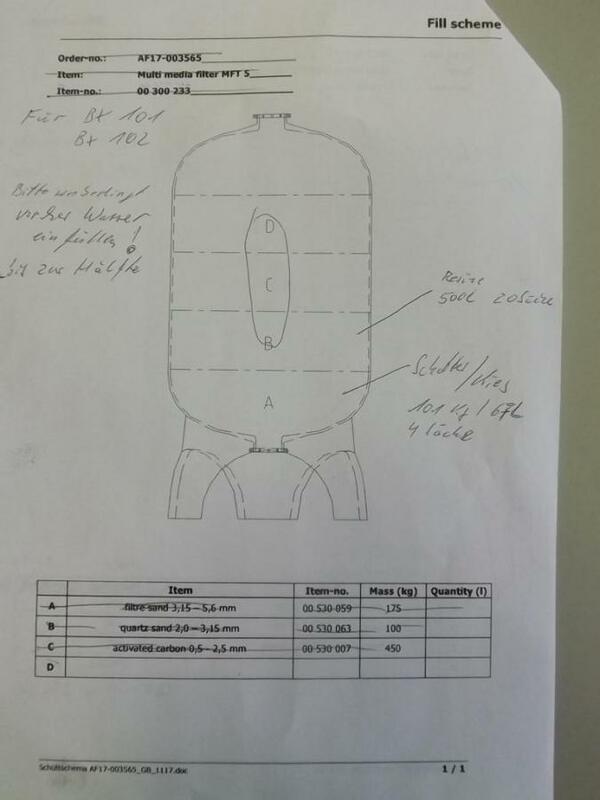 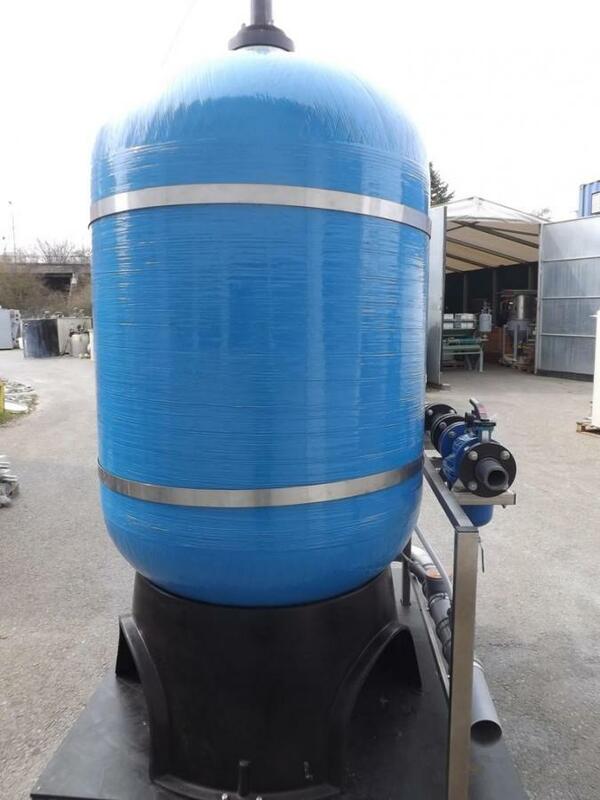 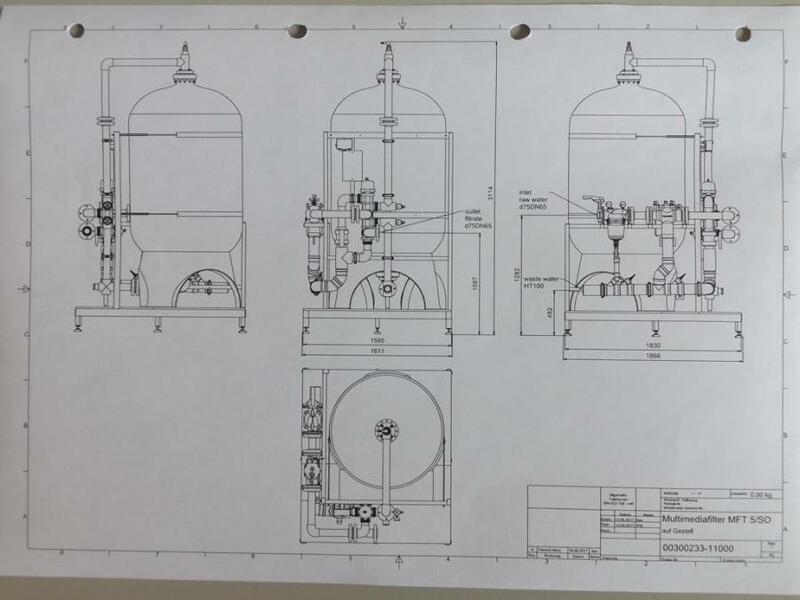 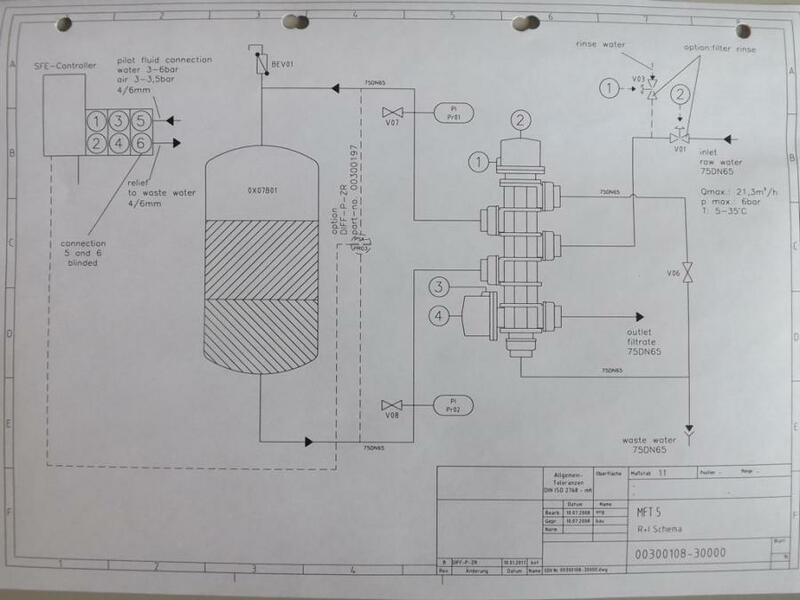 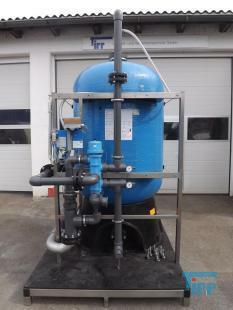 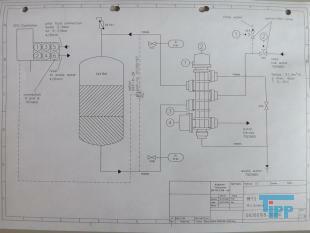 description: Gravel filter system from Herco with piping and valves on frame. 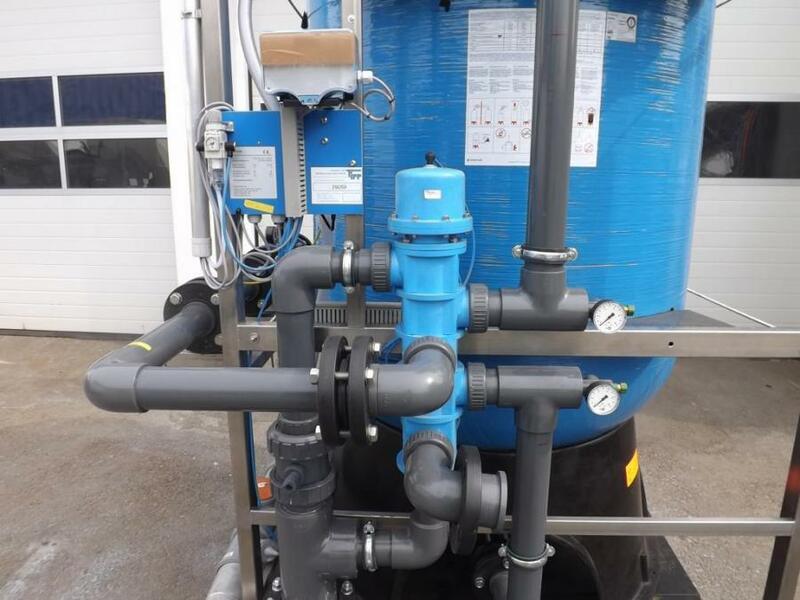 An SFE controller is installed on the gravel filter system, which regulates the time interval between two backflush phases as a timer. 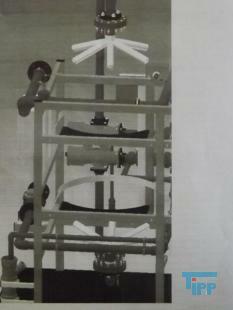 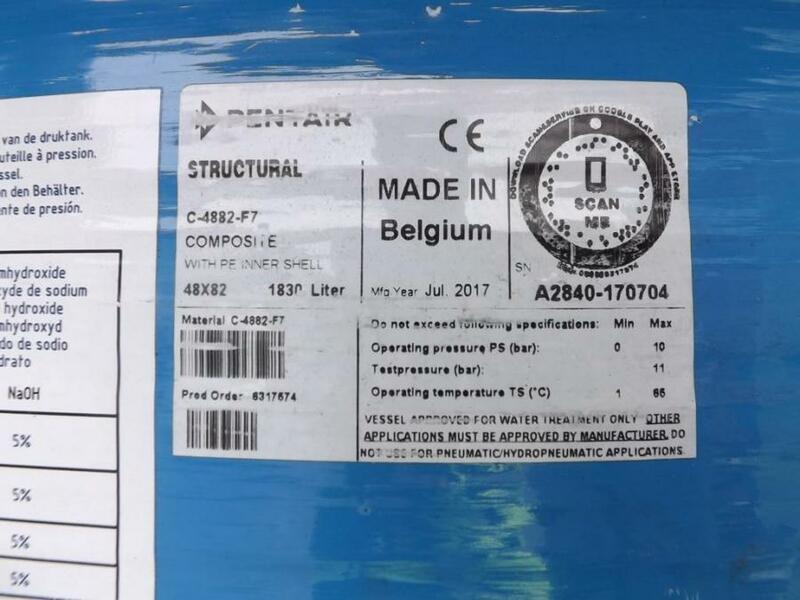 The gravel filter was part of a complete system and was controlled by a central control cabinet.